Here are some guidelines for choosing the correct size of Chalklin Mallets. Another popular all round mallet is the WG2. Although this is designed for Paiste Sound Plates it can also be used on all sizes of Paiste Gongs for players who prefer a smaller mallet. For Paiste Gongs between 20" - 22" try Chalklin GM1. For Paiste Gongs between 20" - 26" try Chalklin TT1. For Paiste Gongs between 24" - 26" try Chalklin GM2. For Paiste Gongs between 26" - 32" try Chalklin TT2. For Paiste Gongs between 28" - 30" try Chalklin GM3. For Paiste Gongs between 32" - 38" try Chalklin TT3. 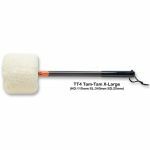 For Paiste Gongs between 38" - 50" try Chalklin TT4. Please note that all TT Mallets have Metal Handles and all GM Mallets have Wooden Handles. As you can see some of the sizes have overlapped but in general the larger the mallet the fuller and louder the sound potential. However if you are using Paiste Gongs for Healing or Sound Massage then is it not desirable to play the gong at it's full potential so this is why most gong players use a selection of Mallets as a smaller mallet is easier to play multiple strokes around the surface of the gong. Also if you have two Paiste Gongs it is easier to play them both together with smaller mallets (less exercise for the arms). Please email if you wish to have your comments and recommendations about mallets online on this page. 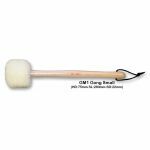 Chalklin GM1 Small Gong Mallet (Wooden Handle). For Paiste Gongs between 20" - 22" try Chalklin GM1. Chalklin GM2 Medium Gong Mallet (Wooden Handle). For Paiste Gongs between 24" - 28" try Chalklin GM2. 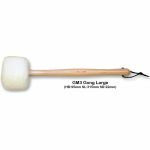 Chalklin GM3 Large Gong Mallet (Wooden Handle). 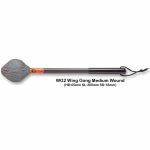 For Paiste Gongs between 28" - 32" try Chalklin GM3. 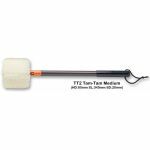 Chalklin TT1 Tam Tam Mallet (Metal Handle). For Paiste Gongs between 20" - 26" try Chalklin TT1. 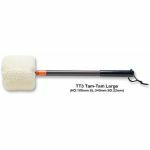 Chalklin TT2 Tam Tam Mallet (Metal Handle). For Paiste Gongs between 26" - 32" try Chalklin TT2. Chalklin TT3 Tam Tam Mallet (Metal Handle). For Paiste Gongs between 32" - 38" try Chalklin TT3. 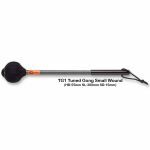 Chalklin TT4 Tam Tam Mallet (Metal Handle). 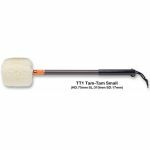 For Paiste Gongs between 38" - 50" try Chalklin TT4.